They say Memorial Day marks the unofficial start of summer. And it looks like next Monday will mark the unofficial start of prosecco-fueled summer dating. 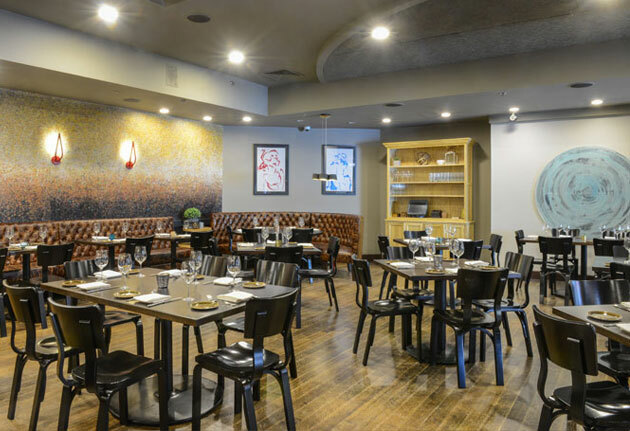 Hey, everybody, we’re all getting Il Casale Cucina Campana + Bar, an airy new Neapolitan spot that’s about to become your suburban dating headquarters, opening Monday in Lexington. This comes from the same brothers behind Dante in Cambridge and Il Casale Cucina Italiana in Belmont. They noticed a severe lack of Neapolitan street-food powerhouses in Lexington, and then this happened. You may find yourself at its marble bar, studying a massive map of Italy’s Campania region as you wait for some comely stranger. Take your time with a lemon, amaro, prosecco and vodka number dubbed Italian Iced Tea. Refreshing. And suddenly, you’re both together at one of those titan leather banquettes. Make small talk. Find common points of interest. Like a fried sandwich made with ham and smoked mozzarella that answers to Mozzarella in Carrozza. Or Lasagna Classica served in a crock. Somewhere, Nonna is approving. Soon, you’re looking for a hint about how to wrap this up. Hint: a 30-seat patio and Amalfi Margaritas made with tequila and Campari. Just when you thought there wouldn’t be tequila.